V&A Dundee, which opens on September 15. 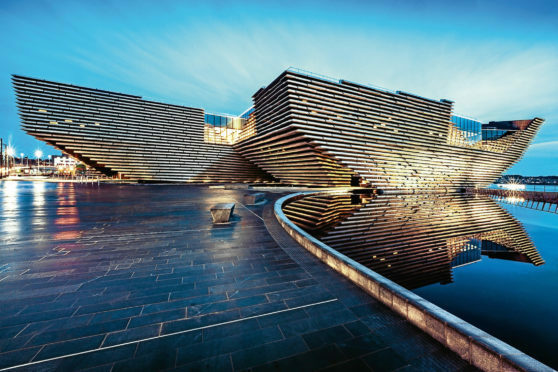 A nightclub tycoon’s £10,000 donation to Dundee’s new V&A museum was “snubbed” by bosses – because the businessman owns a lap dancing club. Tony Cochrane, who runs Club Tropicana at Fat Sam’s in Dundee, said he was approached by an employee of Dundee City Council to get involved. After an exchange of “nice emails” from two members of staff at the V&A, he completed a donations form and sent it off to them. However, he was left stunned when the museum’s Director of Philanthropy & Partnerships, Derek Ferguson, emailed him back to say that “after careful consideration” he regretted they would be unable to accept a donation from him. He said that was “due to the nature of some of your business interests being contradictory to V&A Dundee’s core aims and values”. Tony said that rejection was related to the Private Eyes strip joint he owns in Dundee’s city centre. Tony then emailed Mr Ferguson, saying he was “rather confused and annoyed” he was being portrayed as a person of ill repute. He said the donation was to be from Fat Sam’s, an iconic nightclub and live music venue with a 35-year history in the city. Mr Cochrane said he runs the only Scottish company to have nightclubs in every city in Scotland, with a chain of 14 venues, and has a partnership in a promotions company in Los Angeles with involvement with prestigious events including The Grammys, the Latin Grammys, Critics Choice Movie & Television Awards. Tony said: “Our last charitable donation was to the Archie Foundation when we paid £12,000 for an Oor Wullie figure.